Inishowen News shall not be responsible or liable for any loss or damage of any sort incurred as the result of any dealings through the classifieds section. Looking for 2 or 3 bedroom house for long term rent in Moville or Greencastle. Local reference available. 3 Bedroom house with solid fuel and oil fired central heating. Only a two minute walk from the town center. Looking to rent a 3/4 bedroom house for a family with three children in the Redcastle / Drung area. House for rent in Greencastle. Three bedroom house with back boiler and oil fired central heating. Only a one minute walk to the village. Double room for rent in Buncrana. It is only a 20 minute walk to Buncrana town. Would suit professional or student. Available from January 2019. 1 bedroom flat to rent in Buncrana area wanted. Long term if possible or room to rent in house share. Looking for a long term rental in Buncrana for professional couple. Unfurnished preferred. Excellent new build, very spacious 4 bedroom house for let in Carndonagh. Freshly painted with safe back garden, perfect for families. Strictly no smokers and no pets. Looking for 3 bedroom (minimum) house to rent in Moville. Pet friendly and for long term rental. Looking for 4 bedroom house to rent in Buncrana. Must be a long term let. 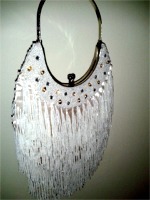 An elegant cream vintage style handbag with beautiful bead work. Blue-grey and gold detailing. Great condition. Would be a perfect vintage bridal accessory. Roughly 8 inches x 8 inches in size. Typist. Looking for work to fit around full time job. Ring after 6 pm.